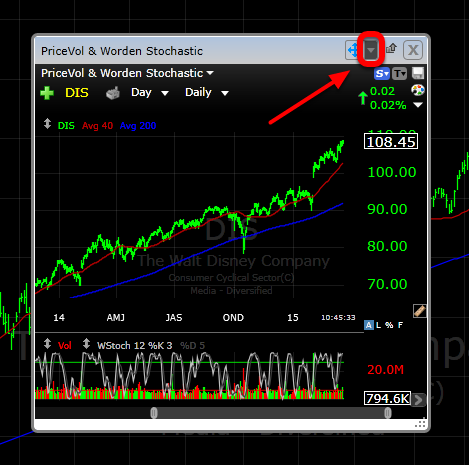 Use this article for times when you want to duplicate a chart with all of its indicators for use with a new symbol on a second screen or to the side of the original chart. 1. 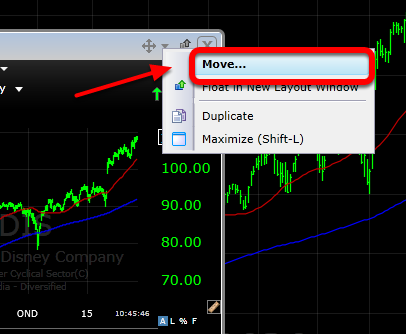 Click on the Move Window drop-down arrow. 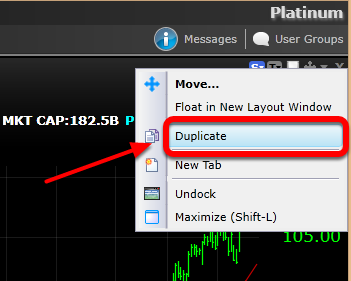 This will generate a new duplicated chart. 3. 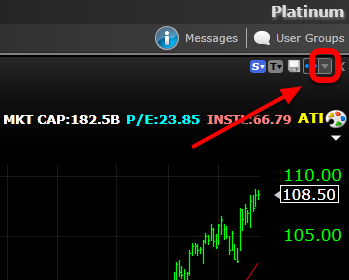 On the new chart, click on the Move Window drop-down arrow to place the new chart on a second screen or within the current layout. 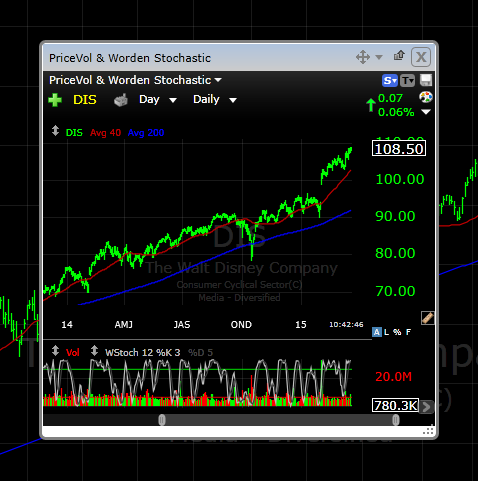 Click on Move... to place this new chart within your current layout. 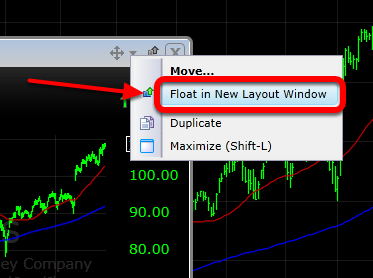 Click Float in New Layout Window to separate the chart from the current layout window for placement on a second screen.